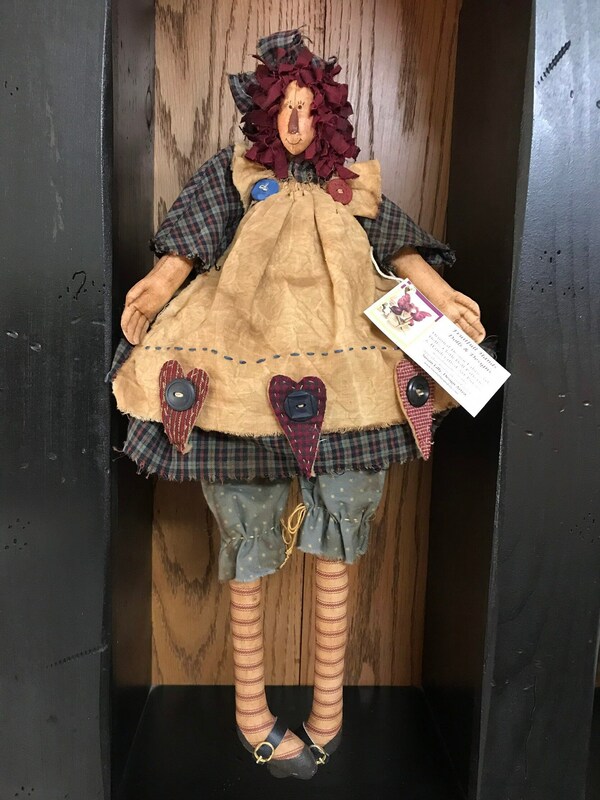 This is the Handmade doll - Not the Pattern! 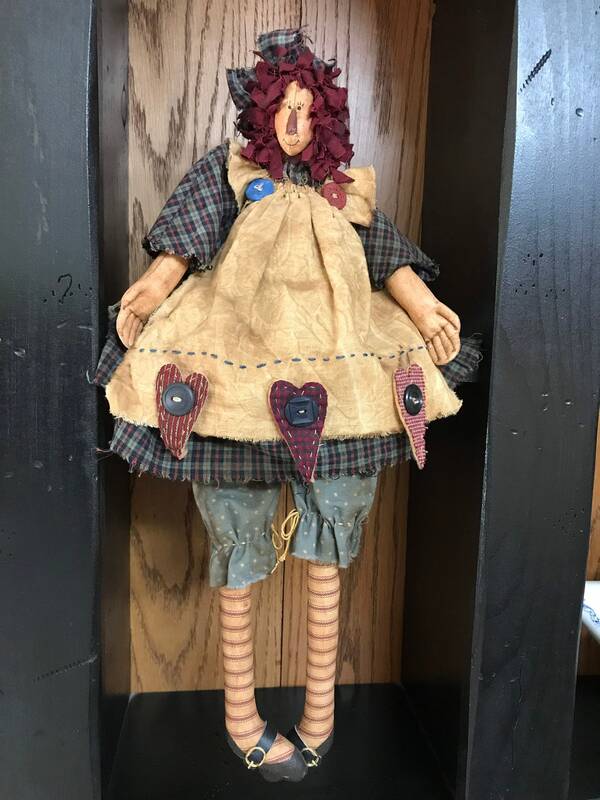 This OOAK doll is part of my personal collection that I have decided to part with. 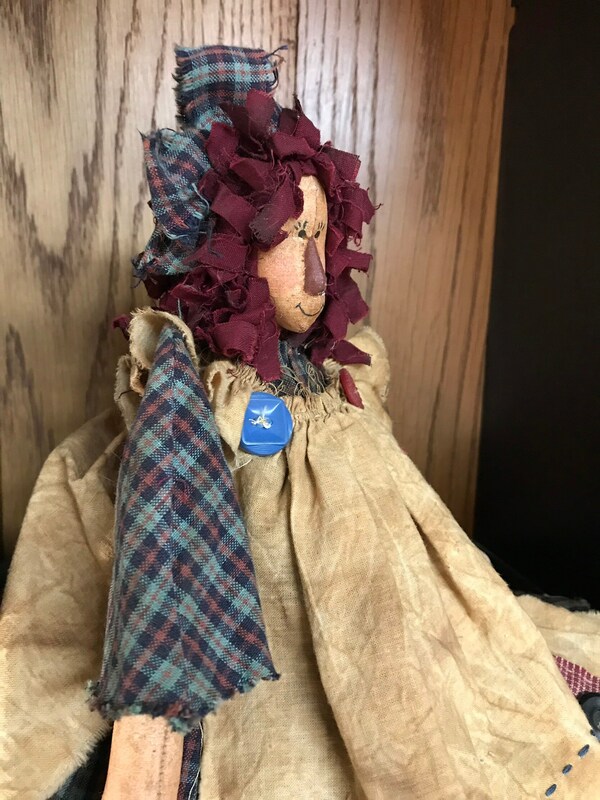 It is the very first prototype doll I made to develop the pattern for “Anna” back in 1997. 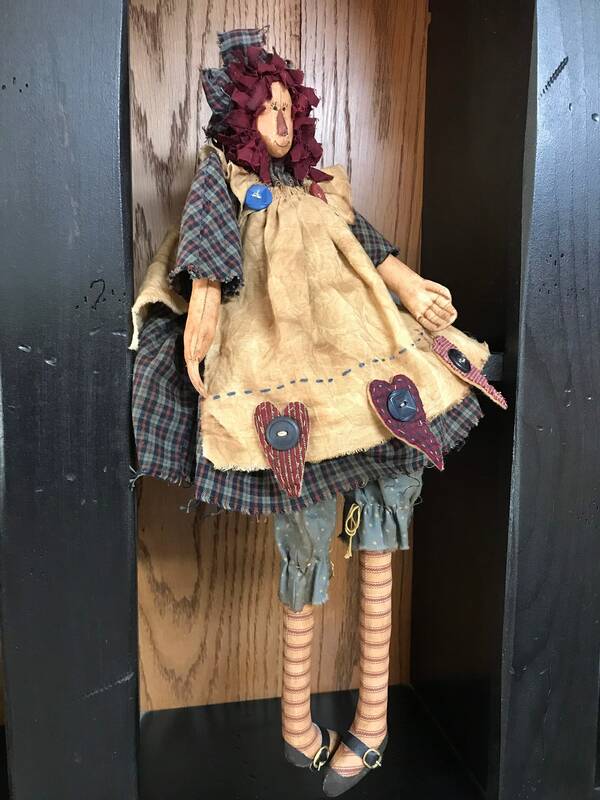 I wanted to keep the very first doll that I made to develop each and everyone of my patterns. I now have over 175 patterns, there are just to many dolls for me to keep. They have been stored in boxes over these many years, so I have decided it’s time for me to part with them and to share them. It is soooo hard to for me to let them go. All my prototype dolls come with a certificate of authenticity. Anna is 18 1/2” tall. 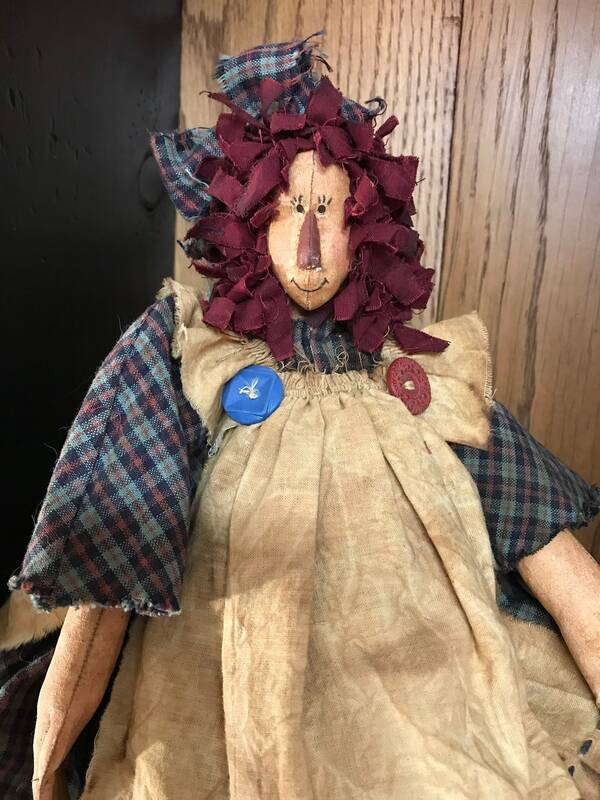 This doll is similar to Raggedy Ann, but is unique because her face has been needle sculpted. She is made of muslin that has been stiffened, painted and stained. Her shoes have real tiny buckles with straps. Her hair is made using strips of fabric that has been clipped.